What I like to call the non-bank sector offers up v attractive opportunities. OK, I’m being a little flippant, call ’em what you will – but (generally) these are banks with drastically lower leverage, misunderstood businesses, and/or substantially mis-priced market valuations… Basically, they’re NOT banks! In retrospect, this proved a wise decision (though I suspect management were simply scared stiff!). Even though EIIB’s credit losses were ultimately limited – for example, a near-miss on an Aston Martin loan, but a painful 73% cumulative write-down on a $30 mio Arcapita facility – you have to wonder how much more damage might have been inflicted if they’d really managed to scale up their leverage? 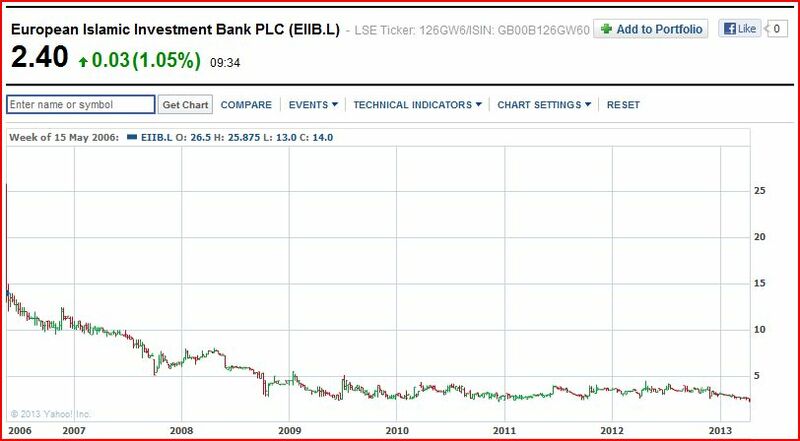 With hindsight, this reversal was perhaps doubly fortunate – what government/central bank support could a leveraged (but still small) UK-listed Islamic bank ever hope for anyway, if another credit crisis struck? In 2011, HBG Holdings (an activist/special situations PE investor) acquired a 15.6% stake in EIIB. This led to the appointment of Zulfi (Zak) Hydari (then CEO of HBG Holdings) & Michael Willingham-Toxvaerd (CIO of HBG) as non-executive directors (NEDs) in Jun-11. This prompted a comprehensive restructuring plan in October, which reduced headcount by 50%, closed their Bahrain office & offered annualized cost savings of 40%. Shortly after, in Dec-11, there was a relatively bloodless board-room coup, which led to Hydari’s appointment as CEO, Abdallah Y. Al-Mouallimi (Co-Founder & Chairman of HBG Holdings, and Permanent Rep. of Saudi Arabia to the UN) as Chairman, and Michael Toxvaerd continuing as an NED. A strategic review was also completed by year-end, which confirmed EIIB’s new focus on building recurring revenue streams, primarily within the Asset Management business – with a stated target of $3 billion of AUM by 2016 (via a growth, JV & selective acquisition strategy). This will be supported by limited & complementary investment banking & financing activities. [Financing to be re-directed into higher-yielding Trade Finance & Leasing. Which still offers poor risk/reward, in my opinion – but there’s potential to execute this via fund management products, rather than balance sheet lending]. It also means a (gradual) exit from legacy/non-core PE investments. The first (key) leg of this new strategy was announced in Jan-12, with a strategic investment in Rasmala Holdings. Rasmala‘s a leading regional investment bank operating in Saudi Arabia, UAE, Oman & Egypt, and specializing in asset management, investment banking, brokerage & research. It has $600 million of Assets under Management (AUM), and EIIB’s latest interim results would appear to indicate healthy growth since then. EIIB will issue up to 98.6 mio shares (at GBP 3.6p per share) over the following two years to Ali al Shihabi (who remains as Chairman & a senior adviser). In return, it acquired a majority of Rasmala’s management shares, granting it effective control of the board. It also acquired 7.4% of the ordinary share capital, though this shareholding is likely to be returned to al Shihabi after two years. EIIB also invested $16 mio in a convertible financing facility. $11 mio of this facility was converted in Jun-12 into newly issued shares, which granted ownership control, with a 51.4% stake in Rasmala’s enlarged share capital. The remaining $5 mio was also converted recently, with EIIB’s stake increasing to 60%. By early next year, this should drop back to a final shareholding of 56.8%. This would appear to imply a total Rasmala valuation of (say) $38 mio. This is within the range of possible values one might expect. Unfortunately, there was no meaningful historical balance sheet or P&L info. provided, and no real break-out of Rasmala’s performance in EIIB’s latest interim results, so we’ll have to be content with the implied consideration for the moment. This is a poor show from a company & management intent on further acquisitions. In their defence, this acquisition only represents a little over a net 10% of EIIB’s equity – on the other hand, it’s clearly far more important in terms of EIIB’s operating performance & prospects! Hopefully, EIIB’s upcoming annual report will address this deficiency with a detailed segment review for Rasmala. So, we await further info. to determine the fairness of the purchase price, but can draw comfort from the exquisite timing of the acquisition itself & the subsequent performance of local markets & economies. This appears to be reflected in EIIB’s latest results which, at a guess, imply Rasmala’s EBITDA loss may have already more than halved in H1-2012. [It should be noted EIIB broke even overall, albeit with some assistance from one-off gains]. With further head-count reductions & cost control to come, plus geographical & functional integration savings to be captured, I’m confident losses will be eliminated in due course. i) Frontier Markets: The economies of the GCC/MENA region are generally classified as frontier markets, despite high GDP per capita levels in certain countries. Like other frontier markets, their economies offer strong GDP growth rates (averaging near 4% in 2012) and generally low levels of debt & future entitlement spending, while their stock markets offer cheaper pricing & lower correlations vs. those of developed markets. Saudi Arabia, for example, represents a huge opportunity – a wall of money is anticipated to hit the market if controls are relaxed. [I’ve a lot of respect for John Burbank of Passport Global – his largest exposure is Saudi Arabia, at about 17% of their total capital. This Barron’s article is also intriguing]. The whole region has an increasingly urban population, a growing middle-class, and rising disposable incomes – all of which fuels fast-growing consumer markets. The demographics in the region are particularly notable – populations are young & growing quickly. Saudi Arabia & Egypt, for example, have populations where 60%+ are under the age of 30. This presents opportunity, but also risk – ultimately, the Arab Spring was also a stark (economic) reminder to governments in the region of the pressing need for accelerated domestic reform, investment & job creation. ii) Islamic Finance: Islamic financial institutions are now forecast to hold over $1 trillion in assets. Despite the current macro environment, they continue to grow assets, in marked contrast to the de-leveraging we’re still seeing with Western banks. 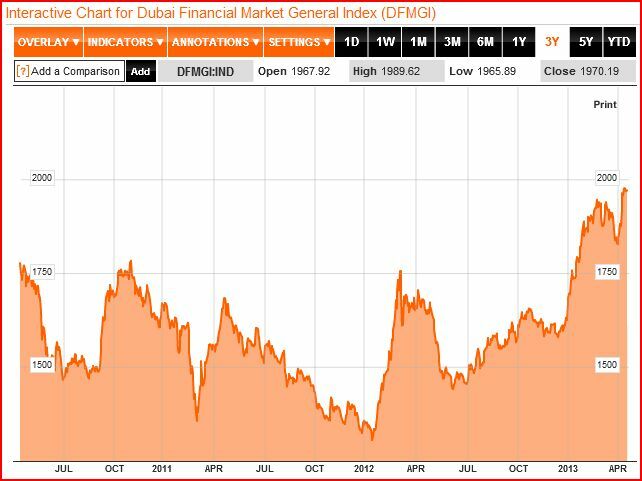 For example, in MENA, Islamic banking assets have compounded at a 20% annual growth rate in the past 5 years. Despite high growth rates, Islamic finance remains markedly under-penetrated in relation to global Muslim wealth & population. For example, Muslim population & businesses in North America & Europe have little access to Islamic banking, financial or wealth management products. As the industry matures & becomes more sophisticated, this under-penetration provides a readily addressable market. Longer term, higher projected growth rates in the global Muslim population offer a secular growth trend. Noting the considerable wealth & growth opportunities, bridging the gap between Islamic & Western markets may prove especially lucrative. London (& the LSE) have embraced this opportunity – alongside the Middle East & Malaysia, the City has originated & executed many ground-breaking Islamic finance transactions. Moreover, the focus on ethical banking, lower levels of leverage & socially responsible/asset backed investing may ultimately attract a far larger & more diverse clientele. iii) Oil Wealth & Resources: The Muslim world’s been blessed with far more than its fair share of oil & natural gas. For example, MENA contains over half of the world’s known reserves, which to date has conferred enormous wealth on the region. This presents both risk & opportunity – current & future production revenues need to be carefully allocated between more effective consumption & investment today, and providing for a secure financial future when resources/production inevitably decline. Despite the growth in alternatives, oil will obviously remain a key energy source for many decades to come – particularly in terms of transportation. Couple this with a lack of growth in global supply (despite all the headlines about huge new oil finds – much of which simply serves to replace declining production elsewhere), and you have a v supportive (& possibly explosive) price environment for oil & gas. Also, the unprecedented scale of fiscal & monetary stimulus in the developed world may ultimately have a huge potential impact. Right now, inflation remains subdued – but there’s no free lunch with stimulus, and governments & politicians always find inflation (whether it’s deliberate, or unintended) is a far more palatable price to pay. This should inevitably benefit oil and gas demand & prices – whether it reflects a liquidity phenomenon, a dollar depreciation, accelerating inflation, and/or simply a scramble for real assets. And I hardly need to highlight Islamic finance will be a key beneficiary & gateway to this current & future oil wealth. In fact, I’ve already pointed it out – here & here. We begin with end-June 2012 net equity of GBP 129.8 mio. We first need to deduct the final $6.9 mio (GBP 4.2 mio) write-down on their Arcapita loan. We then have a further GBP 0.6 mio decline in their 20.3% stake in DiamondCorp (DCP:LN) (which may end up reversed in 2013, noting the current share price). Inferring from the H1-2012 P&L, and excluding apparent one-off items, I’d hazard a guess at an underlying GBP 1.3 mio P&L loss. This hopefully proves too conservative, as costs still seem to be declining, while a booming market offers the potential for some investment gains. This suggests something like year-end net equity of GBP 123.7 mio. Against this, we’ve got a slight increase in net outstanding shares – to 1,728.3 mio shares. [Note: I suspect further Rasmala-related share dilution will be deferred into 2013 – I’ll incorporate this, along with actual 2012 results, into another EIIB analysis at a later date]. This implies an estimated year-end NAV of GBP 7.2p. Now, just a reminder: EIIB’s final results will be released v shortly – should make for interesting reading, eh..?! Of course, noting the current discount to NAV, a share tender/buyback strategy is obviously the best way to return capital – it would elevate & support the share price, highlight the (substantial) discount to NAV, and further enhance NAV per share. And speaking of EIIB’s value gap (vs. intrinsic value), a return of capital & a re-rating of the share price might be the start of a virtuous circle: It would first increase the company’s market cap & visibility, and enhance NAV per share. Then, if EIIB’s shares are more fairly valued, this offers greater scope to fund potential new acquisitions with shares, rather than cash. This would free up more capital to return to shareholders, and vendor/employee ownership of EIIB shares would create far better alignment in newly-acquired businesses. This form of alignment is crucial when it comes to asset management, a business consisting of little more than intangibles like people & goodwill. Ultimately, presuming successful growth in AUM & a substantial reduction in capital, I can envisage EIIB actually trading at a sustained premium to book value.